We reckon only Leroy Sane can rival these two in terms of speed in the Premier League! 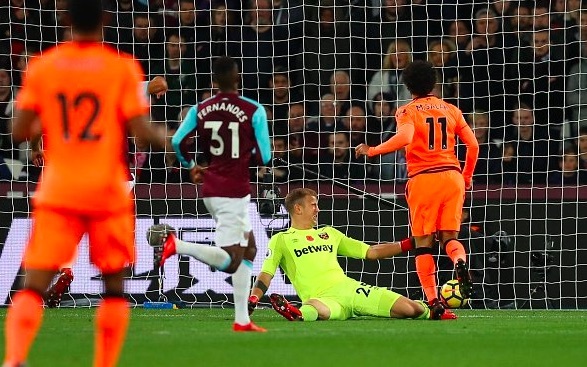 This evening against West Ham, Mo Salah opened the scoring with his 11th goal of the season – thanks to a stupendous counter-attack involving recalled Sadio Mane. From a West Ham corner, the ball broke just outside our penalty box but Mane showed his ridiculous pace to incredible effect. Mane caught him up, and once he was given the ball, showed the kind of clinical finish he’s been accused of lacking this season. It was the Egyptian’s 11th goal of the campaign so far – in just 17 starts.